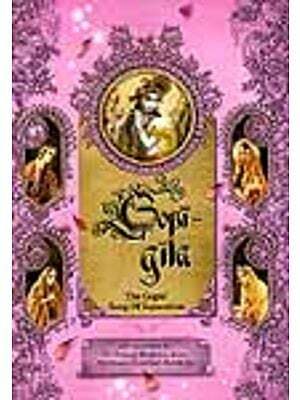 Jaiva Dharma is a Vaisnava novel written in Bengali prose. Most of the book is very philosophical, consisting of dialogue of questions and answers between the characters of the book. 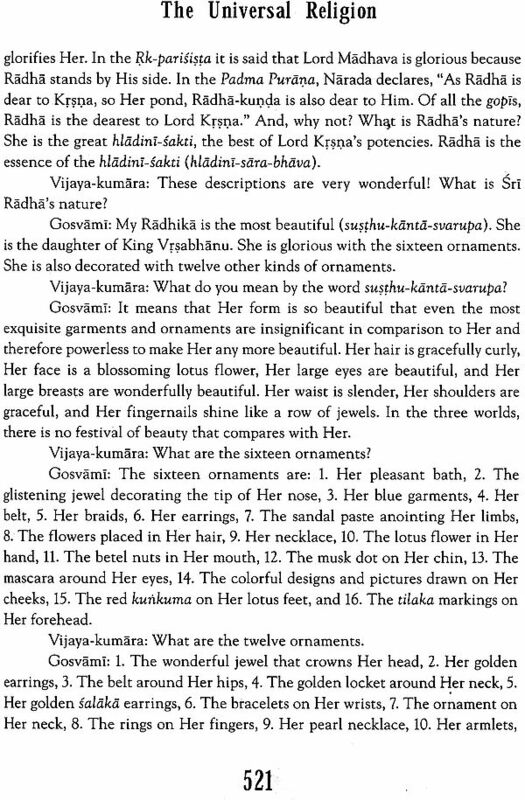 The book is primarily based on two books of Srila Rupa Gosvami Bhakti-rasamrta-sindhu and Ujjvala-nilamani. These two books are accepted as the most important and authoritative books on rasa-tattva. Srila Bhaktivinoda Thakura has taken the essential understanding of these books and presented it in an easy-to-read story format. 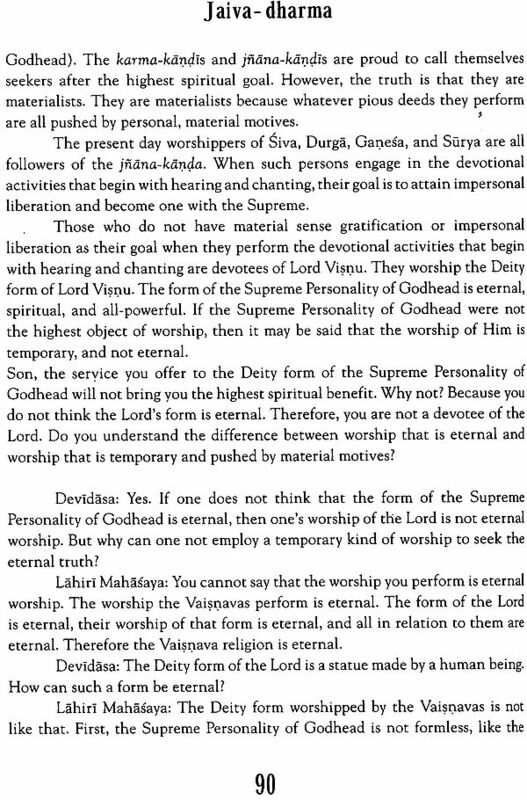 Simply by reading Jaiva Dharma, the serious student of bhakti can understand the intricacies of the soul's eternal relationship with the Absolute Truth, the Supreme Personality of Godhead, Sri Krsna. 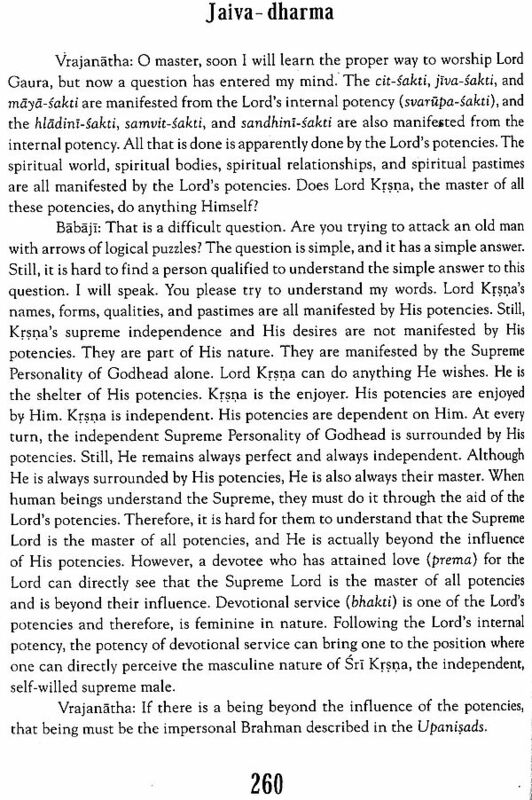 The precise meaning of Jaiva Dharma is given in the book itself, as follows: The activity of such pure souls is called Bhakti-the devotional service. Hari-Bhakti - the devotional service to Lord Hari, is also called by the names Suddha-Vaisnava-dharma - pure Vaisnava religion. 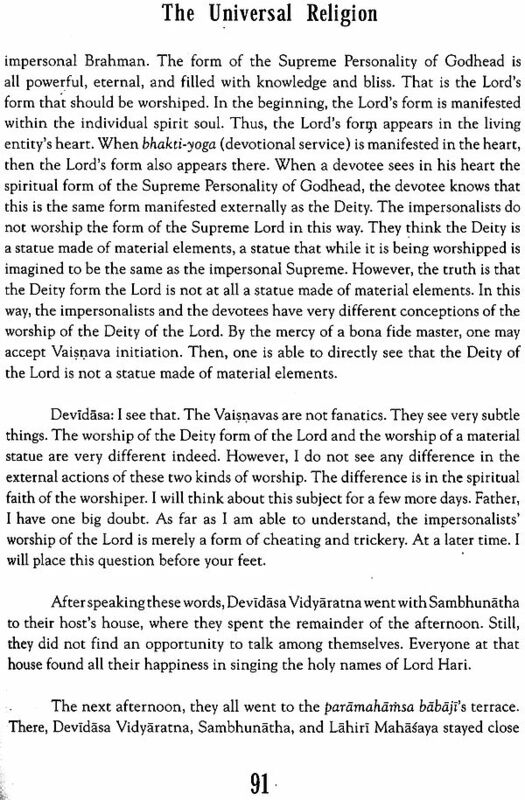 Nitya-dharma the eternal religion. 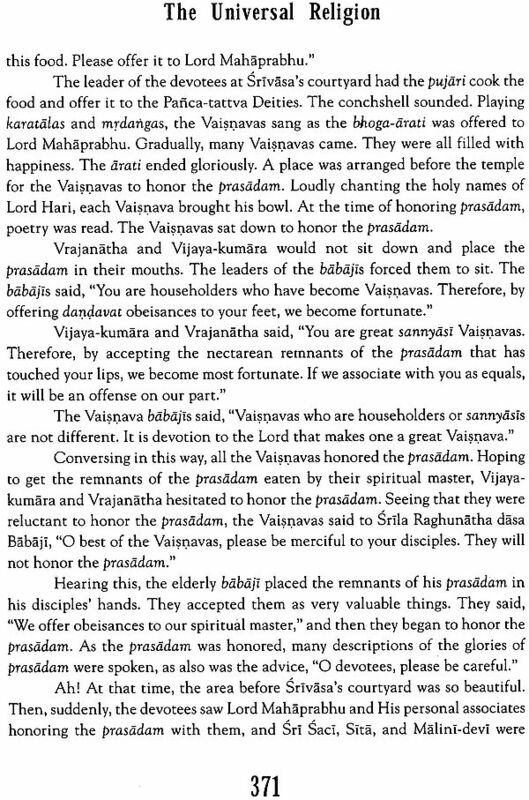 Jaiva dharma - duty of the individual souls. 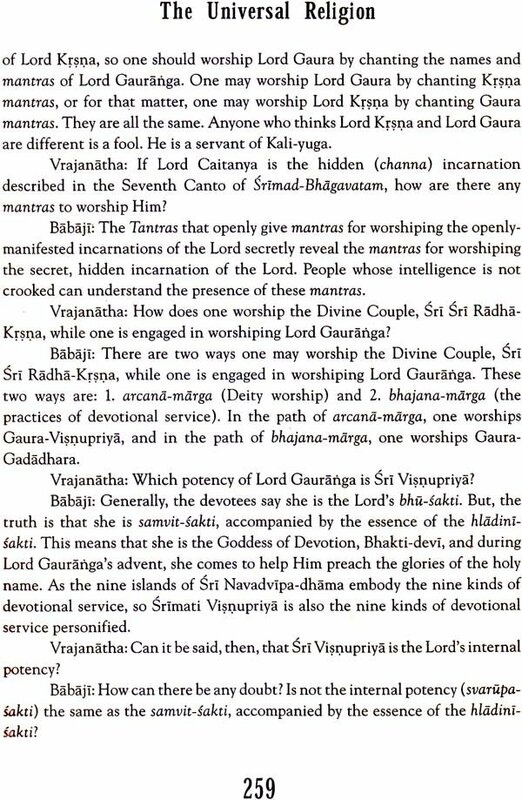 Bhagavata-dharma - religion of worshiping the Supreme Personality of Godhead. Paramartha-dharma - the way to attain the final goal of life, and Paradharma - the highest religion. 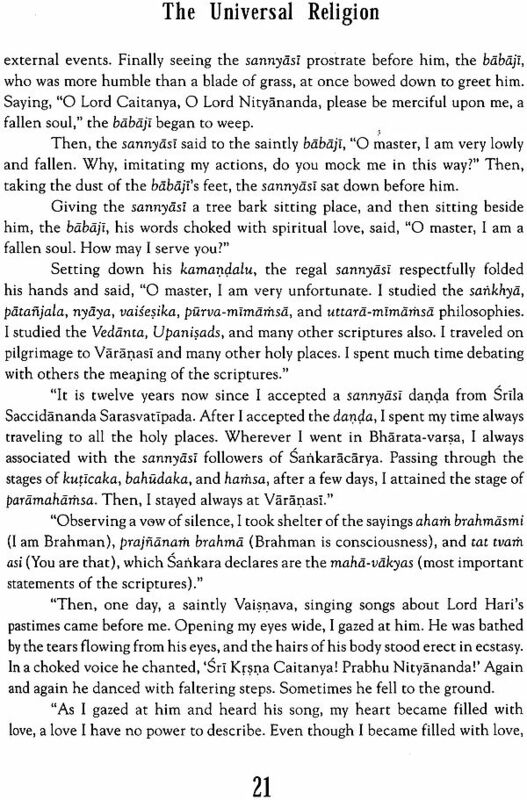 Jaiva Dharma is a Vaisnava novel written in Bengali prose. Most of the book is very philosophical, consisting of dialogue of questions and answers between the characters of the book. 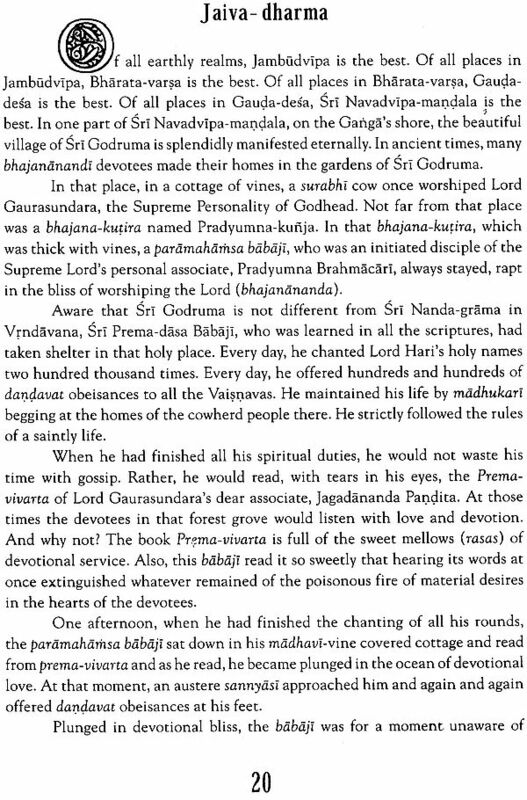 The book is primarily based on two books of Srila Rupa Gosvami-Bhakti-rasamrta-sindhu and Ujjvala-nilamani. These two books are accepted as the most important and authoritative books on rasa-tattva. Srila Bhaktivinoda Thakura has taken the essential understanding of these books and presented it in an easy-to-read story format. Simply by reading Jaiva Dharma, the serious student of bhakti can understand the intricacies of the soul's eternal relationship with the Absolute Truth, the Supreme Personality of Godhead, Sri Krsna. 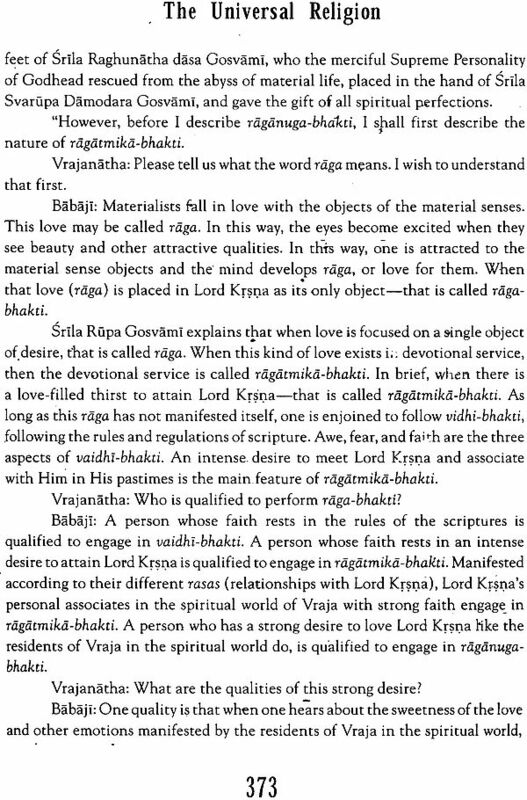 The precise meaning of Jaiva Dharma is given in the book itself, as follows: The activity of such pure souls is called bhakti (devotional service). Hari-bhakti (devotional service to Lord Hari) is also called by the names suddha-Vaisnava-dharma (pure Vaisnava religion), nitya-dharma (eternal religion), jaiva dharma (duty of the individual souls), bhagavata-dharma (religion of worshiping the Supreme Personality of Godhead), paraartha-dharma (way to attain the final goal of life), and para-dharma (highest religion). Srila Bhaktivinoda Thakura must be recognized as the devotee who totally revitalized the movement of Sri Caitanya Mahaprabhu. Although the Thakura is especially noted for his having re-discovered the site of Lord Caitanya's birth, in fact, he practically re-discovered and re-established Lord Caitanya's movement, which was obscured by the cultural and religious chauvinism of the ruling British, and discredited by the perverse and useless activities of a number of sahajiya sects and other groups with motivated, concocted philosophies. It is often pointed out that it was he who made the prediction that the day would soon come when devotees from around the world would congregate at Sridhama Mayapur, chanting the holy names of the Lord. In his youth, Srila Bhaktivinoda Thakura took an interest in Western philosophy and literature, and only gradually came to the path of pure devotional service to the Lord. 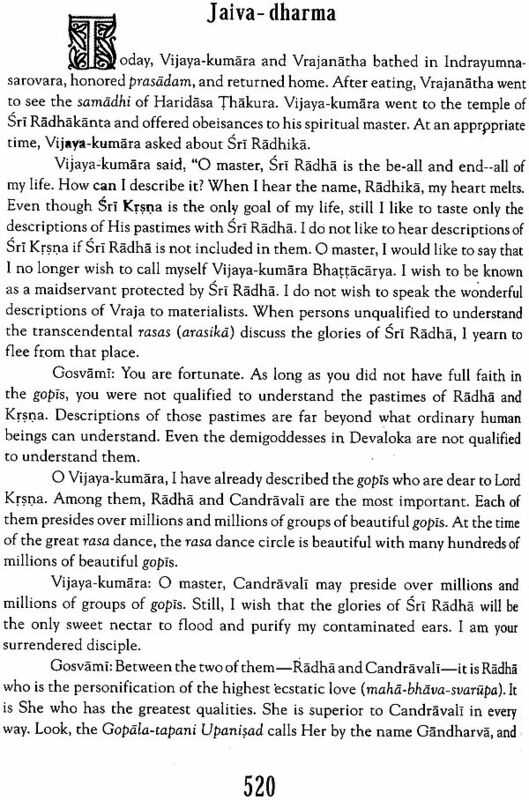 This is mirrored in Jaiva Dharma, which embodies the mood of the staunch preacher of Krsna consciousness. The main character throughout the first half of the book is Sri Prema dasa Babaji, who is known as a paramahamsa, or a topmost swan-like devotee of the Lord who has transcended all external forms of religiosity. He is always overwhelmed with pure ecstatic love, and his personal worship of the Lord cannot be understood by an ordinary person. 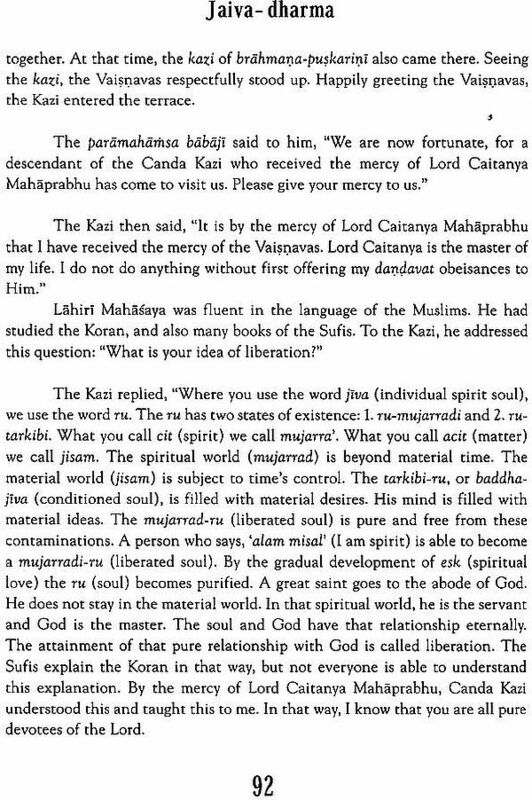 One day, the babaji is approached by a sannyasi who is himself very well-versed in the revealed scriptures but has concluded that the impersonal conception of the Absolute is supreme. 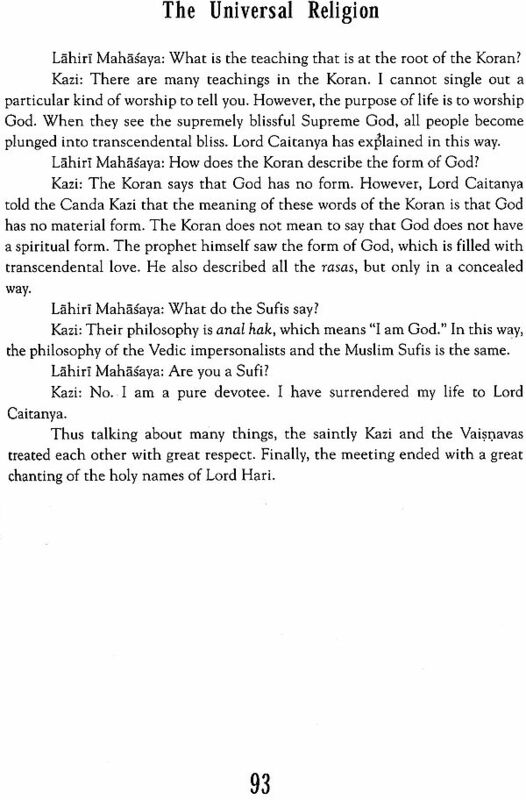 The sannyasi asks many questions, and the babaji gives the conclusive answers, thereby convincing the him of the supremacy of the personal theism of the Vaisnavas. Other characters gradually make their appearance in the novel, and various philosophical discussions take place. This is a very thorough book, touching on practically every major topic of devotional life, and Srila Bhaktivinoda Thakura has quoted profuse scriptural passages to support his conclusions. 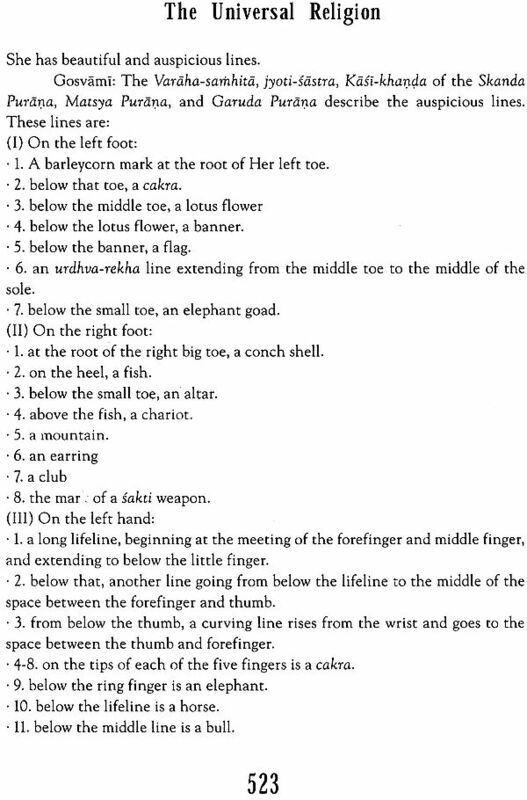 Finally, the last fifteen chapters of Jaiva Dharma discuss the subject of transcendental rasa very elaborately. Two sincere devotees named Vijaya-kumara and Vrajanatha approach Prema dasa Babaji with many questions, and together they discuss the nature of ecstatic symptoms, transcendental emotions, and affection for the Lord in the relationships of neutrality, servitude, friendship, parenthood, and conjugal love. 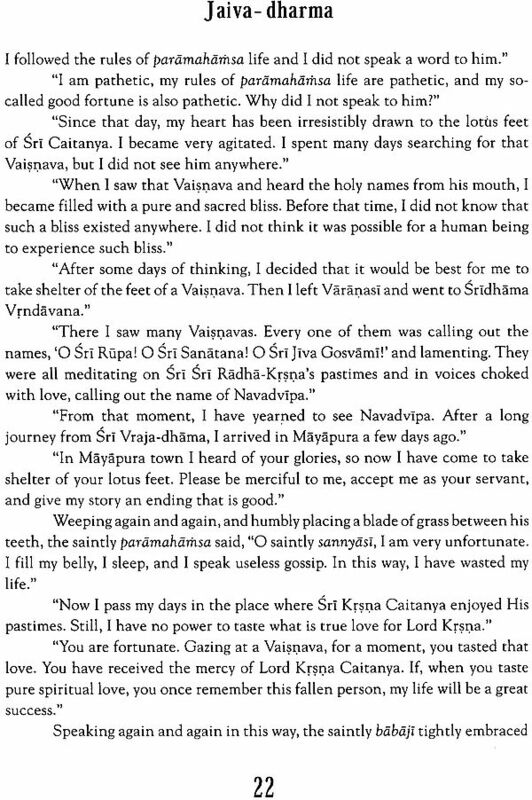 Vijaya-kumara, who wishes to be further instructed in the conjugal mellow, is directed by Premadasa Babaji to proceed to Jagannatha Puri and receive the audience of Gopala-guru Gosvami, a disciple of Svarupa Damodara Gosvami. From him he learns about Krsna's role as the Supreme Hero, Radha's role as the Supreme Heroine, descriptions of Radha's girlfriends, stimulants for ecstatic love, the Lord's pastimes conducted throughout eight periods of the day, varieties of enjoyments shared by the Divine Couple, and so on. 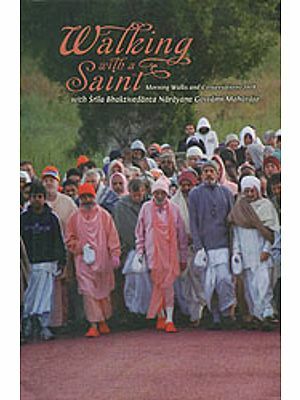 The book ends with a description of how the two devotees, Vrajanatha and Vijaya-kumara attain the ultimate goal of life by taking the teachings of their spiritual master to heart. 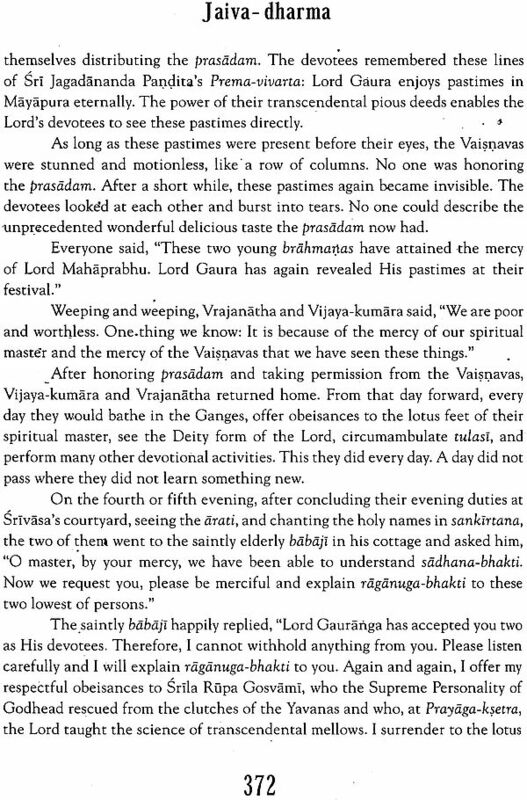 Vrajanatha remained on the banks of the Ganga in Sridhama Mayapura, and Vijaya-kumara stayed in a secluded cottage near the Jagannatha Puri seashore. 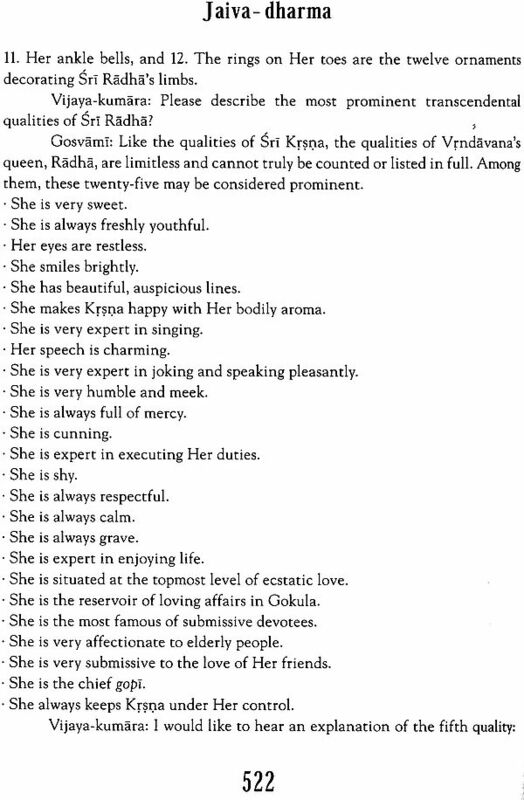 As to be expected, Kusakratha Prabhu has given us a very clear, concise, readable, and poetic description of the topics that he most relished. Jaiva Dharma is a very complex philosophical work but Kusakratha Prabhu has presented it in a way that one can relish it without becoming exhausted by the complexities. The soul's eternal and temporary natures. The soul's temporary duties are imperfect, horrible, contaminated, and short-lived. Eternal religion and the differences of caste. Eternal duties, household life, and the material world. Eternal religion and ordinary activities.